The WATCH D.O.G.S. 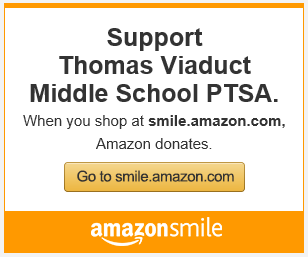 Program at Thomas Viaduct Middle School (TVMS) is sponsored by the TVMS Parents Teacher Students Association (PTSA). To provide extra adult male influence from our school community to inspire confidence in our students. The WATCH D.O.G.S. program was launched on 11 October 2017 as the first middle school program in the Howard County Public School Systems in Maryland. Fathers, stepfathers, grandfathers and uncles are asked to spend at least one day at their student’s school volunteering. They will support the school through monitoring the school entrance, assisting with unloading and loading of buses and cars, monitoring the lunch room, or helping in the media center, classroom with a teacher’s guidance either working one-on-one or in small groups. WATCH D.O.G.S., a K-12 program, invites fathers, grandfathers, uncles, or other father figures to volunteer at least one day all day at their child’s/student’s school during the school year. Fathers and father figures sign up to volunteer through a ‘Launch Event’ such as a “Dads and Kids Pizza Night” or “Donuts with Dad” or by calling their child’s school any time throughout the school year. The program is overseen by a “Top Dog” volunteer who partners with the school administrators to coordinate scheduling and identify opportunities for WatchDOGS to provide assistance at the school. WatchDOG dads and volunteers perform a variety of tasks during their volunteer day including monitoring the school entrance, assisting with unloading and loading of buses and cars, monitoring the lunch room, or helping in the classroom with a teacher’s guidance by working with small groups of students on homework, flashcards, or spelling. During the day, WatchDOGS may read and work with students, play at recess, eat lunch with students, patrol the school entrances and hallways, assist with traffic flow and any other assigned activities where they actively engage with not only their own students, but other students as well. The details will be assigned and are evolving with the school’s needs and teachers schedules. Yes! WATCH D.O.G.S. has a great track record of bringing fathers and father figures to school for the whole day. If you run your program as we outline for you, men will show up. While volunteering a day is a sacrifice for these fathers and father figures, once they serve their day they will be glad that they did. In fact, in many cases these fathers and father figures will sign up for more days, both because they had an incredible experience and because it gives them a greater appreciation for what the teachers are doing to educate their child. The TVMS WATCH D.O.G.S. are also welcome to spend only part of their day in school and this could be an early, late morning or afternoon shifts. Just let us know when and how long you would want to stay each volunteer day when you are signing up.